Let’s do this!!! Discover how to find your way back to health and vitality through my health and nutrition program. 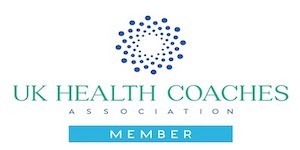 As a Health and Nutrition Coach I’ve helped to transform the lives of all my clients. I offer a whole body, integrated and individual approach -where small positive changes in nutrition and lifestyle lead to bigger, positive changes in health and wellness. Through my program, I will help you to identify the root cause of any modern day health struggles and provide you with the much-needed support as we address any necessary behavioural changes. I will then equip you with the tools needed to improve your health. Using a step by step approach I will show you how to implement changes. I am compassionate and person centered. Through my experience in working as a complementary therapist – as well as spending 8 years working for a mental health trust, I have developed very strong empathy for the struggles that people face today. I am passionate about helping people and my success is being able to educate and empower my clients to take responsibility for their own health through good nutrition & positive lifestyle changes. I have a special interest in the gut where a huge 70% of our immune system is located and 90% of the neurotransmitter, Serotonin is made. Enhancing your health, preventing illness, reducing stress and creating balance are of prime importance. Through my programs we will explore your main health concerns and where you would like to be in 3 or 6 months time. We will then devise a plan together to implement small, manageable steps over time to help you reach your ultimate wellness goals. Rather than dwelling on calories and carbs, or creating restrictive lists of good and bad foods, I’ll work with you to create a happy, healthy life in a way that is flexible, fun and rewarding. Although the food we eat is extremely important, there are many other non-food related factors which impact on health and wellbeing. Through my integrated approach, you will learn how to live healthfully and vibrantly in every aspect of your life. As we work together through a step by step program, you’ll develop a deeper understanding of food and lifestyle choices that work best for you and implement lasting changes that will improve your energy, balance and overall health. I can offer diagnostic testing where needed and a targeted approach through nourishment and positive environmental changes. I offer FREE Discovery Sessions where you will learn if health and nutrition coaching is for you. These can be carried out face to face, by Skype or telephone. Please contact me here.